There’s no better gymnasium for building/developing character than in our closest relationships. Our mate, best friend, parents and kids constitute all of the necessary training equipment that we need to give our patience, tactfulness and resolve a mind-blowing workout that makes P-90X look like kindergarten recess. (Don’t believe me? You’ve clearly never had teenagers! Or spouses! Or parents! Or siblings…you get the idea, right?) In this life it doesn’t take long to realize that true friendship—true love—is a full-contact sport. And guess what? That’s precisely what it’s supposed to be! Unfortunately, in our fast-paced society it’s easy for even the closest relationships to get stuffed in a corner sprouting clothes-hangers and dust bunnies along with that treadmill and Bowflex. The problem is that a relationship gathers garbage that’s a lot more hazardous than dust. Let me put it this way, you can probably put off hitting the gym until after the first of the year, but you had better work on your closest relationships NOW or you’ll wake up tomorrow only to find that they’re not so close anymore! Today, I want to share with you one of the most important principles for maintaining (or rebuilding) strong relationships with the key people in your life. If applied correctly and consistently this principle works wonders in any relationship including our customers, neighbors, classmates and co-workers. However, it works especially well with those you love and are closest to…or for that matter someone that you want to be closer to. 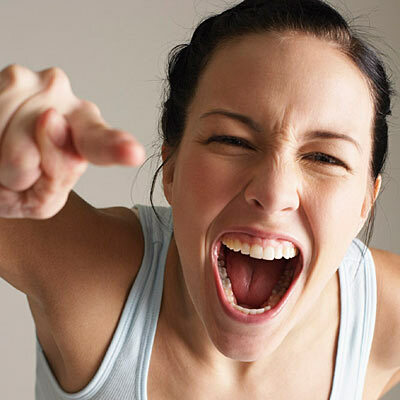 Have you ever wondered why couples get short-tempered with each other? Or why they reach a point in their relationship where they can’t talk about certain subjects without automatically getting into a fight? The answer is that their “Emotional Bank Account” has become overdrawn. Let me explain. In his book The Seven Habits of Highly Effective People, Dr. Stephen R. Covey describes an Emotional Bank Account as “a metaphor that describes the amount of trust that’s been built up in a relationship.” [a] If we are constantly making deposits through kindness, honesty, courtesy and thoughtfulness then the relationship’s account becomes rich and even builds up a reserve. When this reserve is high then we have a little more margin in our relationships for misunderstandings or emotionally touchy issues. No one feels threatened and everyone feels better about working towards a solution. However, when we don’t make regular deposits in our relationship’s account or choose to make withdrawals through dishonesty, discourtesy and selfishness then we find that we have no margin left with the other person. That’s when conversation topics become touchy and attitudes flare over seemingly insignificant things. Marriages and relationships whose account is in this condition do not survive when the really big challenges come. The second is to be attentive to the “small things” in the relationship. Little courtesies and kindnesses go a long way! This is especially effective when we become good at understanding the other person’s desires and needs. Anytime that we act upon someone’s preferences, especially if it is unexpected, then they feel cared about. Equal in importance to the first and second deposits is the third: Keeping your commitments no matter the cost. Trust is only built after we have followed through on our promises and commitments, especially in those “small things” mentioned above. If you prove through consistent action that your word is your bond then you’ll never have to tell anyone again because they’ll be able to perceive it from your actions. Nothing can undermine a good relationship quicker than a lack of trust built through broken promises! But of course, realistically, life doesn’t always go according to plan and sometimes we can’t keep our commitments. In these times it’s important to be forthcoming and explain to the other person why we are unable to follow through. Nine times out of ten if we’ve already built up a track record of keeping our commitments then the other person will understand even if they are disappointed. Another deposit that goes a long way in our relationships is to demonstrate impeccable personal integrity. If we’re always criticizing the faults of others when they’re not around then it’s reasonable for our listeners to believe that we’d probably do the same to them. People instinctively build up defensive walls in any relationship where one side constantly focuses on the mistakes or shortcomings of others. However, if someone sees that we’ll go out of our way to ‘think the best’ of others (especially in areas where they’ve fallen short or have made mistakes) and are patient, kind and forgiving of others then they’ll naturally feel more comfortable and be more open with us. They will perceive us as someone who is worthy of trust. Making deposits boils down to the timeless principle known as the Golden Rule: “Do unto others as you would have them do unto you”. Dr. Covey points out that these are not as much specific actions as they are a demonstration of our willingness to fully understand and work with others. People often pretend to be tough but on the inside they are really just as tender and vulnerable as we are. They just want to “feel” understood and appreciated. This requires us to put our ego and pride to the side and really get to know the other partner intimately and make deposits that would count for them specifically. Can you imagine having a full year with nothing more important to do than getting to know your mate and make steady deposits in their Emotional Bank Account? Can you imagine how strong of a family you could build on such a foundation? Wouldn’t that help out so much with some of life’s inevitable pushes and pulls that try most normal relationships to the breaking point. Unfortunately, we don’t have a comparable rule in our society today, and our rate of divorce shows it. Today, it’s up to us to be proactive in order to apply that type of effort to our marriages. But the investment is well worth it and its dividends never quit paying off! Each of us can improve our closest relationships right now by applying the Emotional Bank Account Principle. This is true even if the relationship has become strained or damaged. It just requires a firm commitment to make continual deposits even if the other person is not committed or doesn’t initially respond favorably. It takes time and consistency to get back on track when a relationship has “gone into the red”. The film Fireproof provides an excellent example of the type of sacrifice and commitment that it takes to repair a relationship that is under strain. I highly recommended for couples to watch, especially if their experiencing some problems in their relationship. One thing that the film brilliantly depicts is that the motivation for ‘fixing’ the relationship problems can’t be for ones SELF…it must be solely for the good of their partner! Love is outgoing and out-flowing only. However, by continually making those little deposits day after day fruit will ultimately be bared. But you’ve got to make them when they’re not reciprocated, when their not appreciated and even when their not acknowledged. You’ve got to deposit into the emotional bank account until the other person no longer feels that it’s in the red…and even then you’ve to keep making them. But even the biggest mountain is no match for a steady, gentle stream and a little time. This article is the first in a series of related articles that will focus on building strong relationships. In our next article we’ll focus specifically on a practical, straightforward way for finding what deposits to make in someone’s Emotional Bank Account. And we’ll even learn the art ‘reading people’ from a very successful steakhouse server…how does that tie in to relationships? You’ll be surprised! Trust me, you don’t want to miss it! This entry was posted in Uncategorized and tagged character, Opinion, personal, personal development, relationships, self-improvement. Bookmark the permalink. Loooking forward to reading more of what you have to teach! !